Dawn, my father, my mother, and I enjoyed it! It was a rare treat to be together. It's an earnest movie, bordering on something after-school or evangelical (aka 'cheesy'), but it was sufficiently produced. I loved that it clocked in at 02:14:00, because I love long movies. More for one's money, and more time to munch! 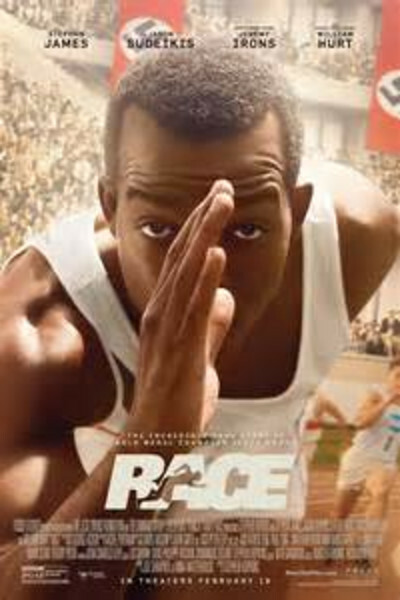 Stephan James—from 2014's Selma—does well as Jesse Owens, and it's nice to see Jason Sudeikis continue his branching out. Jeremy Irons and William Hurt star prominently, so that's a bonus, and kinda surprising.